Like most of Baby Boomer America, I have presbyopia. That’s Latin for too damn old to see anything closer than the end of my outstretched arm. Selfie range. I have perfect distance vision. Without any correction, I can read road signs while zooming past at 70 mph. But within a yard, forget it. 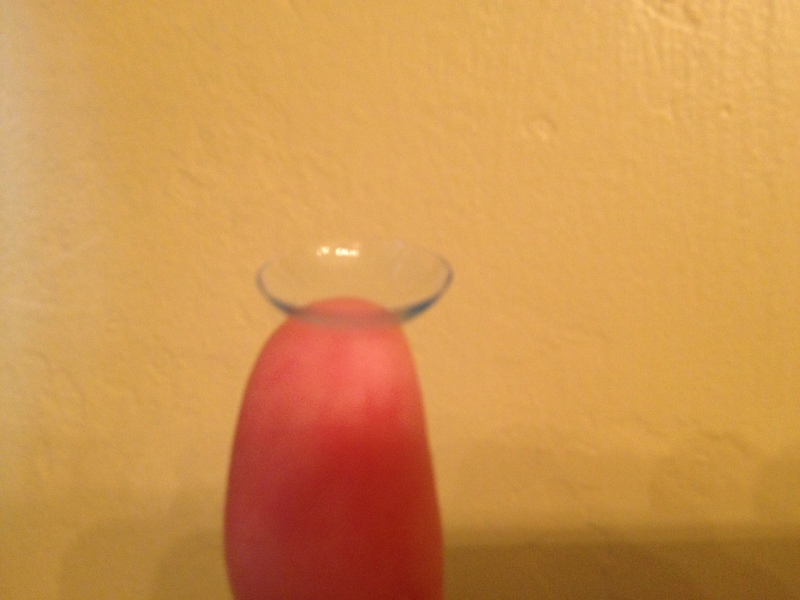 Sick of drug store cheaters, I bought contacts. The thin-as-a-sandwich bag discs that float over my corneas allow me to read the caller ID on my phone. I’m also supposed to see the cat that stalks doves in my yard, but that feline in the distance looks like the liquid blur of an impressionist painting. Kitty-cat à la Renoir. Every morning, it’s a choice. See close or see away. Sometimes, I straddle the line, wearing one lens in my right eye. At my daughter’s swim meets, I can almost read the heat sheet and pick her out in a pool of swimmers wearing chrome-colored silicone caps. But, the cyclops view messes with my equilibrium. It’s like watching Bertolt Brecht in performance. My child on the starting block looks superimposed, a 2-D hologram blasting into the water at warp speed. The visage is more abstract than realistic, more cubist than Cassatt. Is it possible that I could have an artistic epiphany as a result of poor eyesight? It gives new meaning to the title, Mother Courage. I feel dizzy after reading this…. Ha! No really…I do.